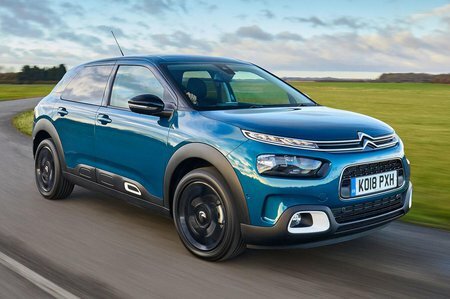 Citroën C4 Cactus 1.2 PureTech Flair 5dr [6 Speed] 2019 Review | What Car? You’ll pay a fairly large premium for a Flair model, but you do get a lot of extra kit, including sat-nav, a rear-view camera, climate control, heated door mirrors and automatic lights and wipers. There are some visual tweaks, too, such as 17in alloy wheels and tinted rear glass. Importantly, you get automatic emergency braking and lane departure warning. This engine may be the same size as the Puretech 82, but the addition of a turbocharger means it feels far punchier. Despite being punchy enough for all types of roads, it has the lowest emissions of any petrol engine in the range. Available with an automatic gearbox.